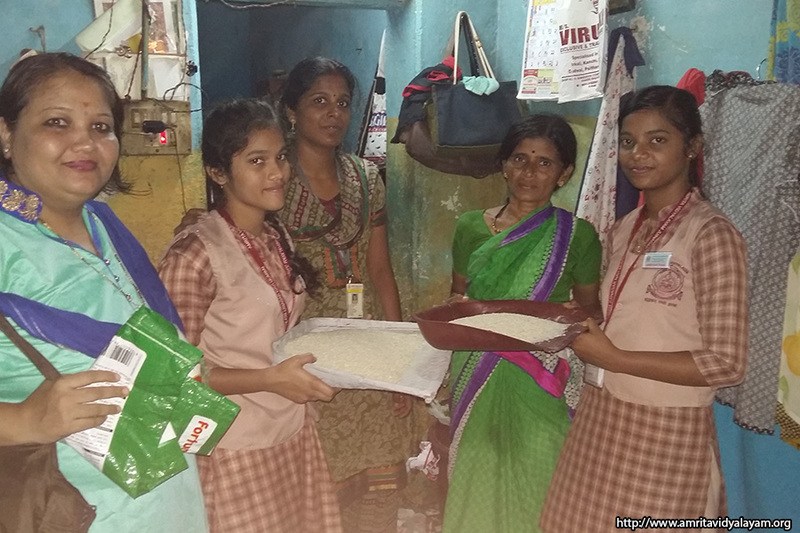 Sevamritam Students and teachers braved the heavy rains and reached out to 29 families adopted by the school and distributed kits of rice, wheat, oil and blankets. 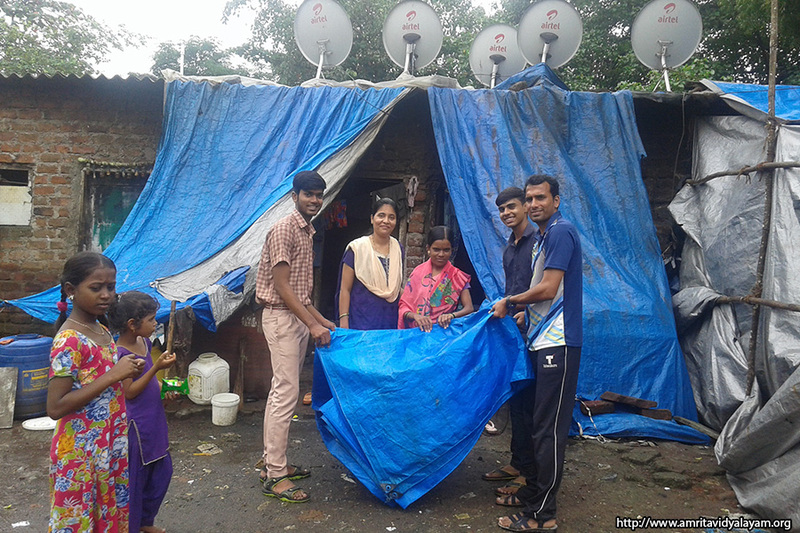 The students were moved by the plight of families living in makeshift tents and felt truly grateful to their parents who provide them with so many luxuries. Many students were ready to donate their toys, books and stationery and even come to share their birthdays with these families. 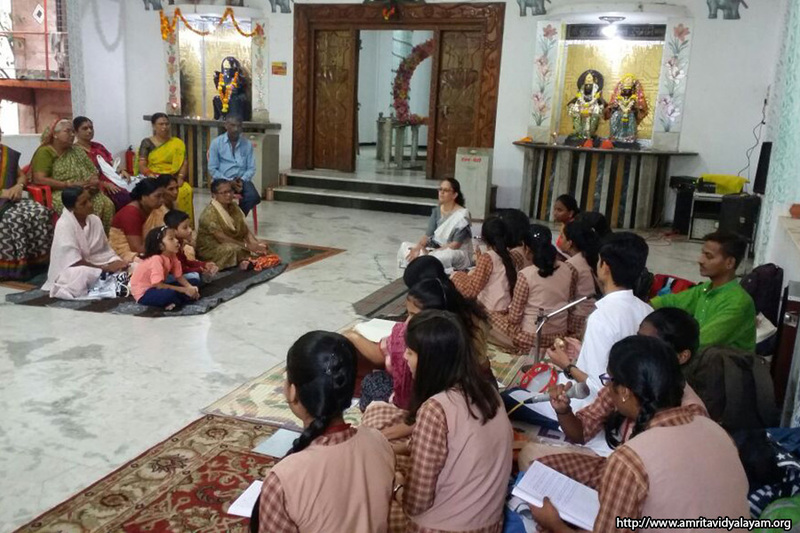 ‘Sealing of Desires’ The total money collected for July was Rs. 4260 from Grades VI to XII. It will be used for buying essential items based on the requirements of the 31 families adopted by the school. 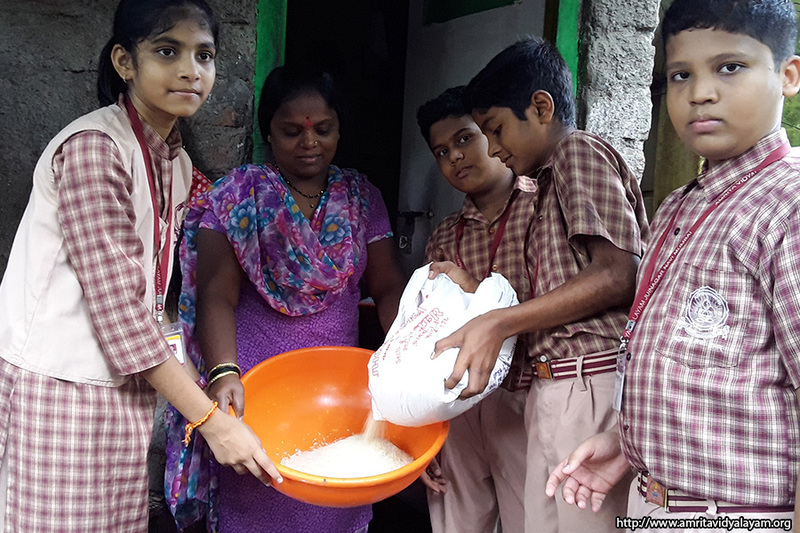 A special mention to students of Class IV B who brought 1 rupee every day, making a total contribution of Rs. 557. Wealth from Waste Students brought old uniform shirts which were stitched into shoulder bags. 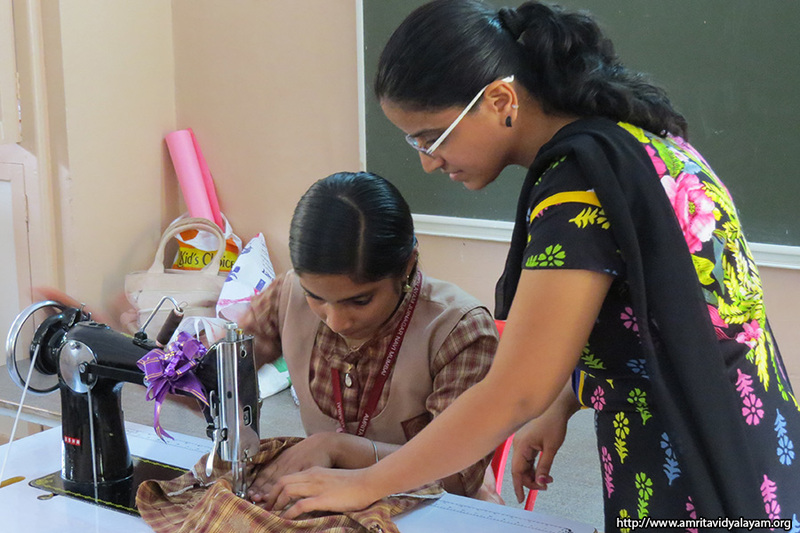 A total of 7 bags were stitched and will be distributed among needy people to spread the message of ‘reducing plastic’. Bhoota Yajnam The young students from pre-primary to class II bring fistfuls of rice or grains without fail to be put in the bird feeders. 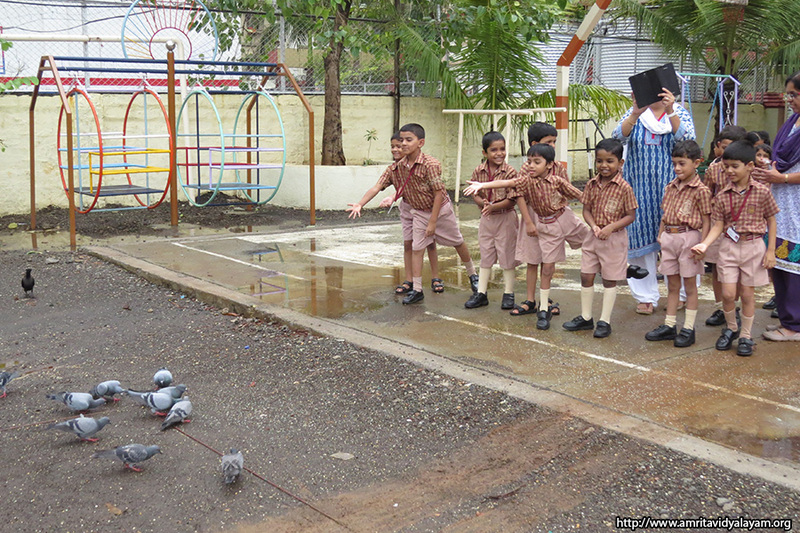 The birds have been visiting less frequently due to the rains, but the bird feeders are emptied onto the school grounds for the birds to partake the food brought by the students. Also, wider bowls for the grains were placed in the school compound for easy access for the birds. Grihamritam This month, the task of washing one’s own uniforms was added to the already existing task of washing one’s own plates etc. 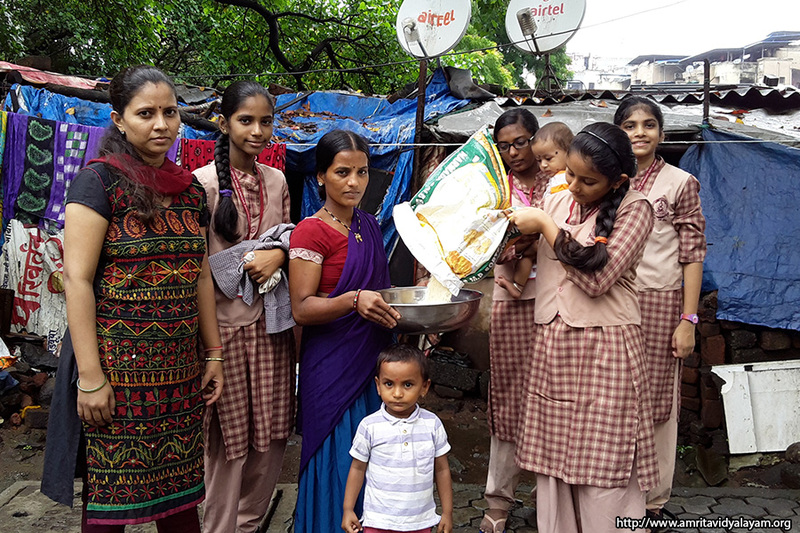 In personally written reports by parents, they commended the school for this initiative as they could sense an excitement in their children when they came home and did their own chores. Students were also asked to write 10 lines on “The Dignity of Labour” based on their recent experience of sharing the work at home in order to help them realize that no work is big or small. Snehamritam Birthdays of teachers, staff and students were celebrated, and there is lots of excitement in the school as everyone awaits their special day to receive sweets from the Principal. Maushis have especially thanked Ma’am for this initiative as they feel very happy to receive birthday wishes from students and teachers. 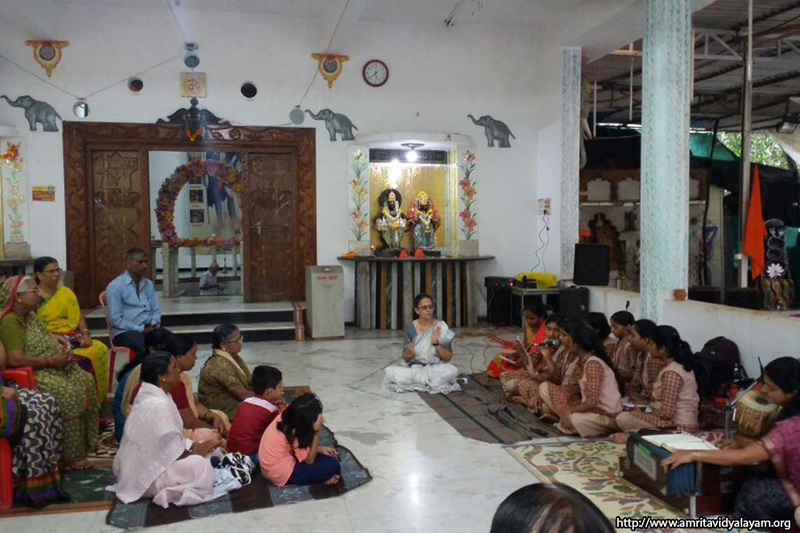 Temple Bhajans Students of Class VII to X visited the Budheshwar Temple in Sanpada in order to fulfil Amma’s dream of instilling cultural values in the hearts and minds of the people. 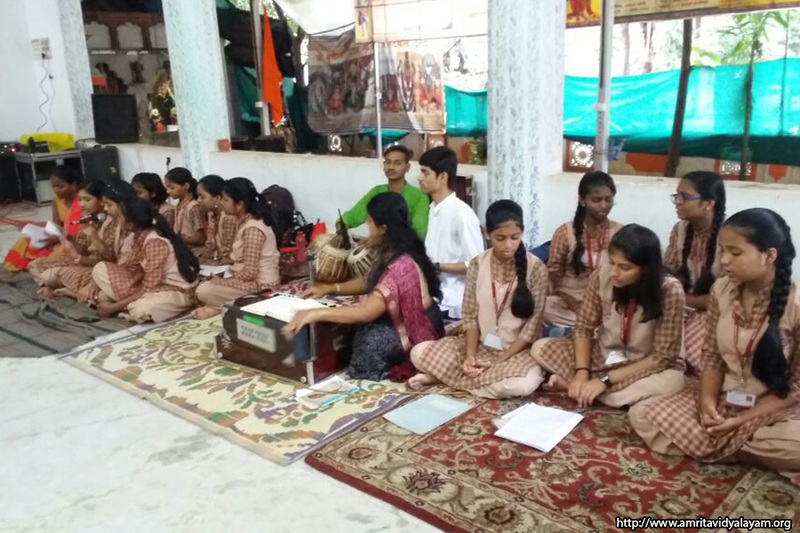 Students sang soulful bhajans, and the temple authorities who were very pleased requested them to make it a regular practice.